Welcome to the 2018 edition of the A to Z Blogging Challenge! 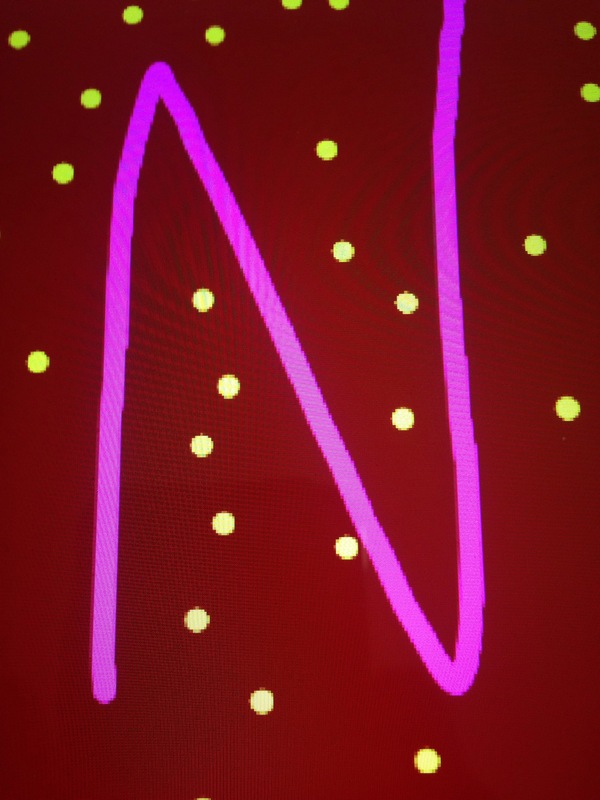 All through the month of April, the challenge asks us to blog every day (except Sundays), and to go through the alphabet A to Z, connecting our posts to the letter of each day. My idea for this time, my 5th to participate, is to showcase a book or two each day, and provide a tiny bit of information about them. These will not be a full book review, but just saying what it is about, and if I liked the book or not. These books are mostly books that I already have on my shelves, and have read, or are on my to be read stacks. There will be a very few of them that I don’t already own, or have read. I will also post a quote each day that has something to say about books, or reading. Hope you enjoy, and maybe see a book or a few that you might want to read, too. 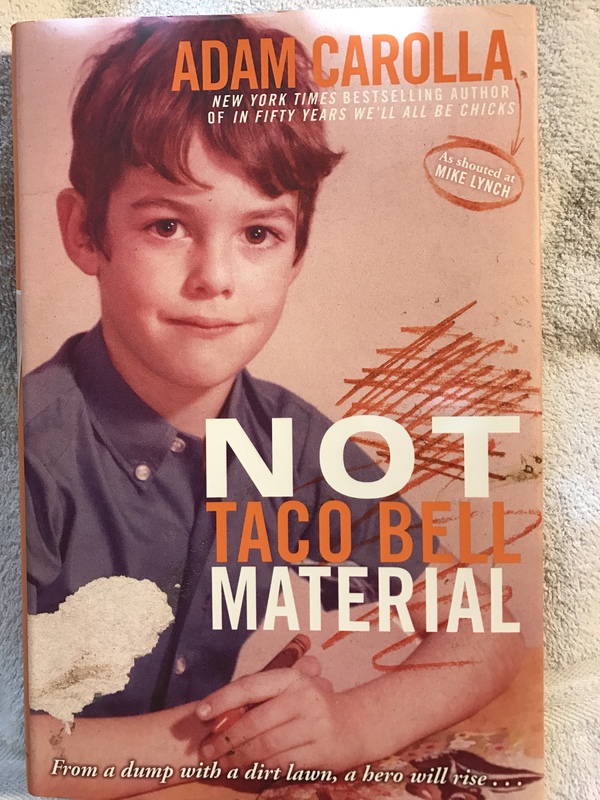 “Not Taco Bell Material”, by Adam Carolla is a book I haven’t yet read. I’ve had it for a long time, because it still sounds like an interesting book to read, and I’ll get to it one of these days, I’m sure. Adam Carolla is a TV and radio personality. This is his story of how he came from a poor background, and with determination, he found success in his life. There are numerous personal photos in the book, also. 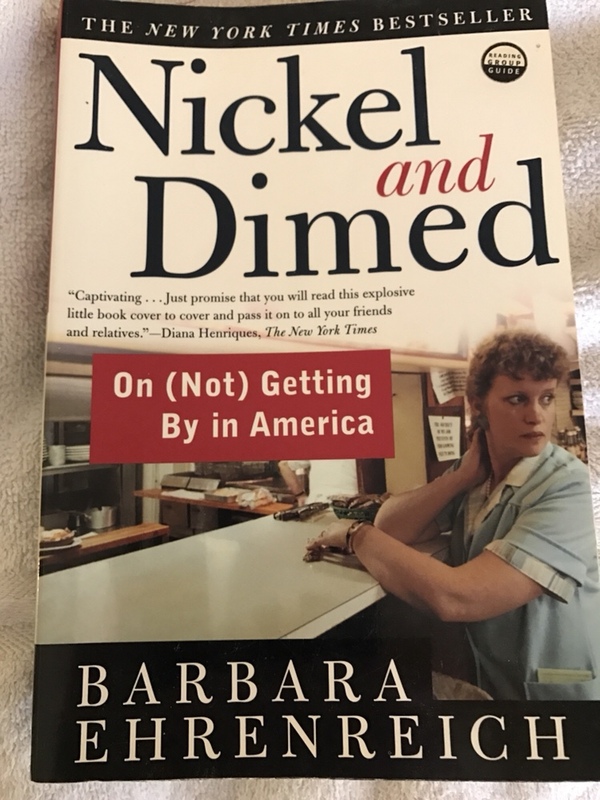 “Nickel and Dimed”, by Barbara Ehrenreich, is the author’s journey into the world of the working class poor. Wondering how anyone could manage to get by on low wage jobs, she joined them to find out. She traveled to many cities, and took on many different jobs, and records her experiences and thoughts on working conditions, welfare, and more. She sees what goes on behind the scenes, and hears personal stories from her co-workers. This book is very well balanced between her own hands on reality of the situations she finds herself in, and statistical facts and figures. I enjoyed reading this one, as I had no idea of what really goes on concerning this subject. 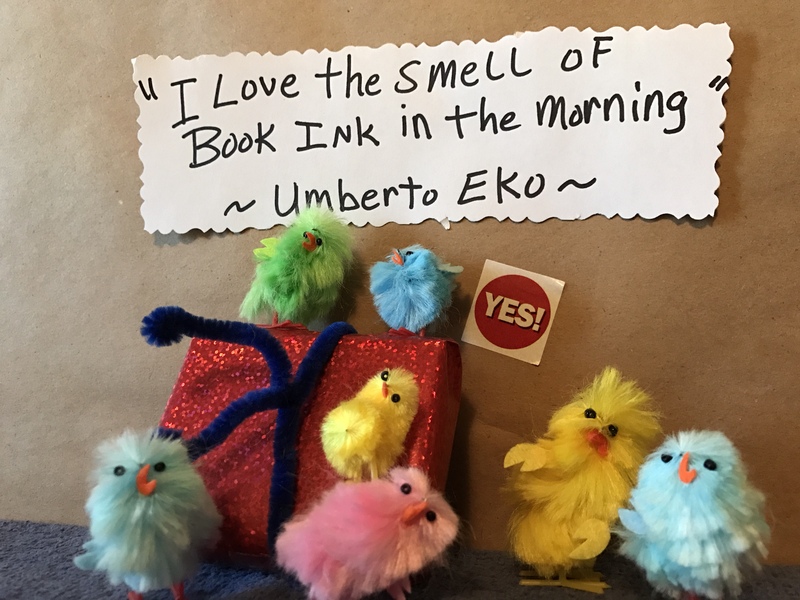 Join the MB Chickens tomorrow for the unveiling of the next book titles. They will be for letter O.